Lieberman says that the best answer to terrorism is the expansion of settlements. I wish he had continued his sentence to indicate that those settlements are not actually being built on the moon or Mars. The geographical region allocated for those new settlement units is owned by indigenous people being systematically stripped of their ethnic identity alongside their ancestral land by foreign illegal immigrants brainwashed with delusions of supremacy. This “Israeli” minister of war would also do well to discuss the source of funding for those said settlements. The majority of financing of the bulldozers demolishing Palestinian houses and uprooting the olive trees comes from the US taxpayers – money that could be better utilized in uplifting the heavy weight of mortgages US veterans come back home to deal with. Or, relief the American students owing ludicrous amounts to universities. Maybe even use that money to subsidize national medical care. Americans are not the enemy; the overwhelming popular belief on this side of the hemisphere is that the American people are not entirely aware of how they are being manipulated by a deep dark political system hellbent on securing high profits for a military-industrial complex. Profits achieved by demonizing neighbors so as to sell weapons to countries who are in desperate need of allocating the majority of their budgets towards enhancing educational and social national organizations. When they fail in demonizing candidates, the US government creates demons like they did with al-Qaeda and “ISIS”. It is high time to exert real efforts in unifying a global definition of terror and what terrorism is. Mr. Lieberman’s usage of the word insinuates that those who defend their property and children against occupying forces are the “terrorists”. His definition of terrorism does not seem to include dispatching regulars in the army with high power rifles as snipers to hunt down civilian targets indiscriminately. It doesn’t refer to soldiers filling a sixteen-year-old girl with bullets or a military helicopter crew tearing apart the bodies of little boys playing soccer on the beach. Bombarding a densely populated area after laying siege on it must have also missed his definition of terrorism. There is a genuine discrepancy in terminology. Iran, a country that is not known to have initiated any wars against other countries during, at least, the contemporary era of history is being labeled as a “state that sponsors terror”. On the other hand, “Israel” has attacked and occupied Lebanon more than once and has done it savagely but, still, it is being described as a “democratic state” yearning for peace and security. Supporting rogue terrorist organizations like Lahad’s Southern Army militias and “ISIS” is not seen as acts of terror; neither, it seems, orchestrating assassinations on foreign soil. Memory goes back to when George Bush destroyed Iraq in the name of spreading democracy – another twisted term of our age. The father of Athenian democracy, Cleisthenes, must have turned in his grave every time Bush mentioned his creation. Killing huge sections of the Iraqi civilian population in the name of a noble concept was yet another example of hijacking terms and mutating them to gain the support of the unknowing masses. Maybe Lieberman does know what terrorism means but is twisting the word to mean something else; he is still betting on ignorant masses who would actually believe that a teenage girl deserves a prison sentence for slapping a heavily armed soldier who invaded the front yard of her home to shoot at her cousins. It is a mess. It is a sorry state of affairs. The victim of the modern-day holocaust is being blamed for demanding his basic rights as a human and a citizen of the world. He is being told that he fits the profile of a terrorist – Lieberman’s definition of a terrorist. We can all do our part in rectifying the situation humanity is in. We can begin by establishing international guidelines for terms such as democracy and terrorism. 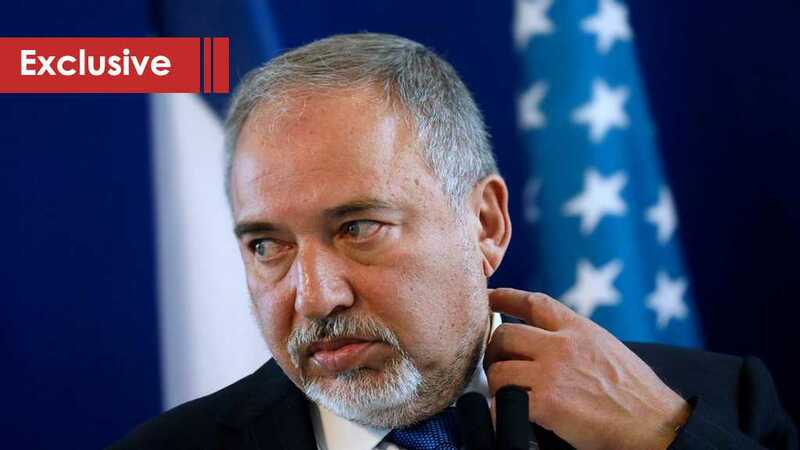 We must not only condemn Lieberman’s war crimes against the innocent people whose land he has occupied, we must condemn his attempts to twist the definition of words on which the human race bases ethical standards. His crimes go beyond murder and theft, they are against the very human culture. No matter how many settlements are built, Palestinians will get what is rightfully theirs back. History has shown this to be true. The Ottomans occupied land like the Israelis did, the Ottomans enslaved people like the “Israelis” did, and the Ottomans committed genocide against the Armenians just like the “Israelis” are doing against the Palestinians. The Ottomans lost and went back to their country, so will the “Israelis”.